To support good governance, design research uncovers new and better ways to spur sustainable independent journalism. A strong, independent media ecosystem can be one of the most effective drivers of good governance. In addition to directly holding powerful institutions accountable, media amplifies the work of advocacy organizations, citizen movements, political organizers, and others. 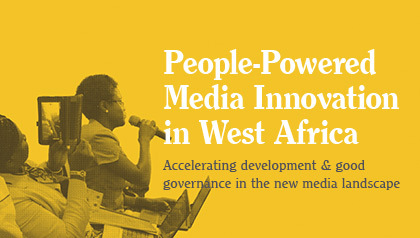 The potential for accountability gains are especially high in the burgeoning media landscape in West Africa. To understand how to best support independent media in the region, Omidyar Network engaged Reboot to develop a nuanced, empirically grounded understanding of the factors that enable or constrain media’s ability to hold government to account, and to develop recommendations on how Omidyar should update its investment strategy accordingly. Reboot conducted a landscape analysis, grounded by deep-dive case studies, and revealed the complex dynamics and opportunities in the region, including identifying citizen engagement with journalistic content as a key factor driving both economic sustainability for independent media and effective accountability from government. Reboot’s report on the topic is now guiding Omidyar Network’s West Africa media investments, as well as those of other funders, who are collaborating with Reboot through our Amplifying Accountability program. After decades of state control of the media in West Africa, citizens have little trust in the fourth estate. But the rise of digital media is transforming the landscape. Citizens have embraced new and social media tools that allow them to seek alternative views, contribute their perspectives, and redefine popular media narratives—and to participate in democracy in ways that were previously impossible. This citizen participation has opened big opportunities for funders interested in supporting good governance in the region through more robust and independent media. In the context of increasing freedom of media from state control and an explosion of media enterprises, the current moment is an urgent opportunity to establish a strong future for independent media in the region. Source: BBC, Reuters, GlobalScan Incorporated, Media Center, 2006. The Media Poll. Omidyar Network is especially interested in these opportunities, drawing on its work in recent years to support innovations to strengthen independent media around the world. Omidyar Network has worked to improve the volume, quality, and sustainability of independent media, through grantees like Global Voices, Publica, Africa Check, The Pulitzer Center on Crisis Reporting, Sahara Reporters, and the Media Development Investment Fund. 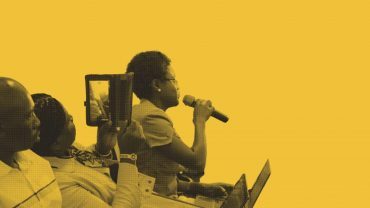 To help build a wider understanding, and to further development, of independent media in West Africa, Omidyar Network engaged Reboot to conduct research and analysis on media in the region. The research was to specifically focus on Nigeria and Ghana, countries with especially vibrant media ecosystems, and which operate under comparable constraints that exist across West Africa and thus show how other markets may evolve politically and commercially. Our work began with a desk review and key informant interviews to understand the historical evolution of media in the region and current dynamics, to assess various business models and new innovations, and to ground the work in the priorities and strategies of funders that could support media moving forward. Building on this foundational understanding, Reboot’s approach prioritized on-the-ground research of the media ecosystem to uncover the trends and leverage points for funders to advance the field. Ethnographic and user-centered approaches guided four months of market analysis in Nigeria and Ghana, which included primary research with citizens, journalists, media professionals, and government representatives, as well as a survey on citizen and civil society perspectives. Research examined specific instances where independent media had successfully influenced governance outcomes to unearth the how’s and why’s of these successes, and to determine factors that had limited or undermined their impact. 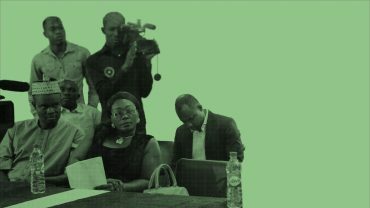 Research was conducted by a team of nine researchers (including six Nigerian and Ghanaian nationals) who then synthesized findings into factors that can improve the quality and sustainability of regional independent media, and can increase its ability to target civic participation to improve government accountability. In addition to the landscape analysis, Omidyar Network asked Reboot to assess the strategy, operations, and impact of one of its grantees in the region, and to suggest ways in which it could better support the grantee. We did so through interviews with the grantee’s management and technical staff, as well as observations of their work processes. We also probed on perceptions of the organization’s work among citizen, media, and government audiences in the region; examined specific examples of impact; and did comparative analysis of the grantee’s work against identified good practices in the region. 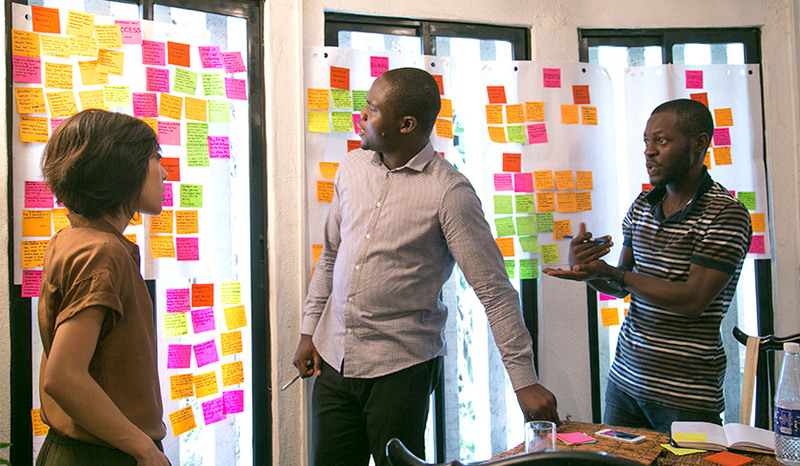 This was synthesized into findings for both the grantee and Omidyar Network, with opportunities for both to strengthen the impact and sustainability of the organization’s work. Working from the research findings, Reboot identified specific opportunities where Omidyar Network’s interests, networks, and resources could be best harnessed to support independent media in the region. We synthesized these into an internal report for Omidyar, used to inform its ongoing investments in the region. Recognizing the value of the work conducted, Reboot and Omidyar decided to share the work with a wider audience of media funders and entrepreneurs. Reboot conducted an in-depth series of conversations with a wide range of media funders and investors, both public and private, to better understand how each approached investment, as well as the broader field’s interests in (and questions about) West African media. From there, we produced a public report for media funders and entrepreneurs to understand how to support media in harnessing citizen energy to advance good governance. Reboot’s research and analysis uncovered citizen engagement as the key leverage point in an independent media ecosystem. Not only do citizen voices play a central role in inspiring government action and accountability, they drive the most successful business models in the new media environment. Media organizations that engage citizen voices—such as publishing citizen photos of polling results, or directing civic action on specific political promises through investigative reporting—can simultaneously build trust and increase their audiences, while driving public pressure to issues that matter. Field research team in Lagos, synthesizing data collected to surface patterns around opportunities and challenges for Nigerian media. That’s not to say that digital media is a magic bullet; it’s a battleground, with political, civil, and media actors all struggling to control this new sphere for public dialogue. Reboot’s strategic recommendations based on this nuanced picture of the landscape are supporting Omidyar Network in refining its investment strategy to best support media as part of a complex ecosystem of governance. 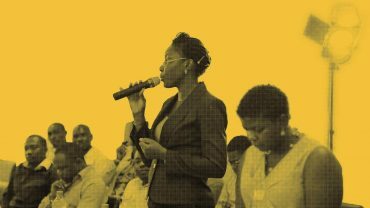 Additionally, our publicly shared set of recommendations in our report, “People-Powered Media Innovation in West Africa,” has inspired and informed other investors, funders, and entrepreneurs who seek to engage and create impact in this vibrant sector. The findings set the stage for an event in Abuja, co-hosted by Reboot and BBC Media Action, “Talk Your Own: Media for Development,” a lively conversation amongst donors, development practitioners, and media professionals. Several international foundations, including the MacArthur Foundation, are currently collaborating directly with our team to implement media and journalism investments in the region, as part of Reboot’s Amplifying Accountability program. As we continue to expand this work, we will not only seek increased independence and impact of the fourth estate in West Africa, but to ensure that journalists and citizens around the world are more empowered to advance good governance through media.